Johann Jungwirth, who headed Mac Systems Engineering at Apple and was named in some reports as a player on the company's Project Titan electric car team, has left Cupertino for a new job at Volkswagen. 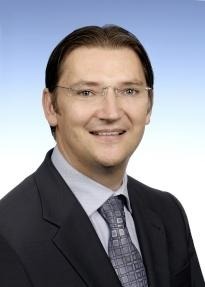 Jungwirth will assume control of Volkswagen's digital strategy, the company announced on Tuesday. He will report directly to Volkswagen CEO Matthias Müller. "With the new function and the appointment of Jungwirth, Volkswagen is strongly reinforcing its position in digitalization, which is a very important future field for the automotive industry," Volkswagen said in a release. While at Apple, Jungwirth oversaw Mac engineering, managed research and development efforts, and advised the special projects group. He was named as a member of the Project Titan electric car team in a February report, having previously served as a research and development executive at Mercedes. It's not clear exactly what Jungwirth's brief will include at Volkswagen, but it's likely to focus on occupant-facing electronics. He primarily specialized in smartphone integration and user experiences while with Mercedes.